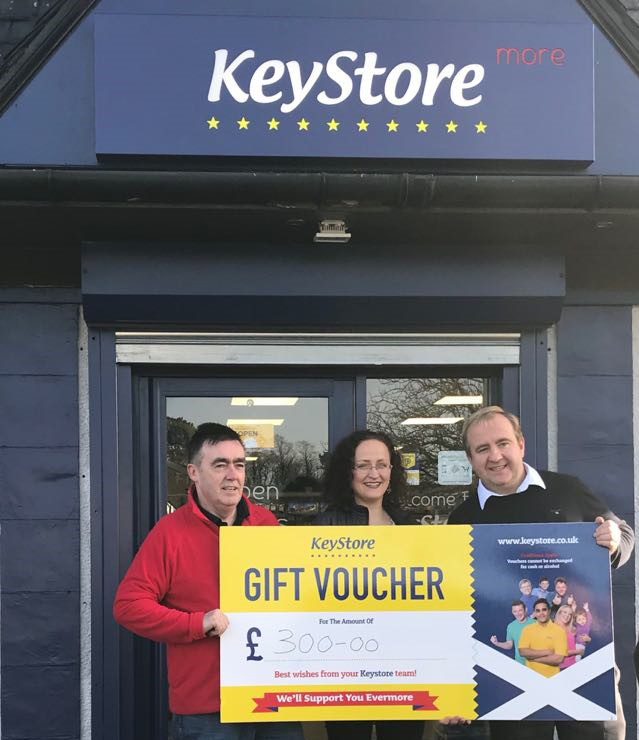 Welcome to the KeyStore family Alex MacIntosh – we had a great Open Day on Friday 26th January Keystore More New Farm Loch 8 Cameron Drive #Kilmarnock KA3 7PW. 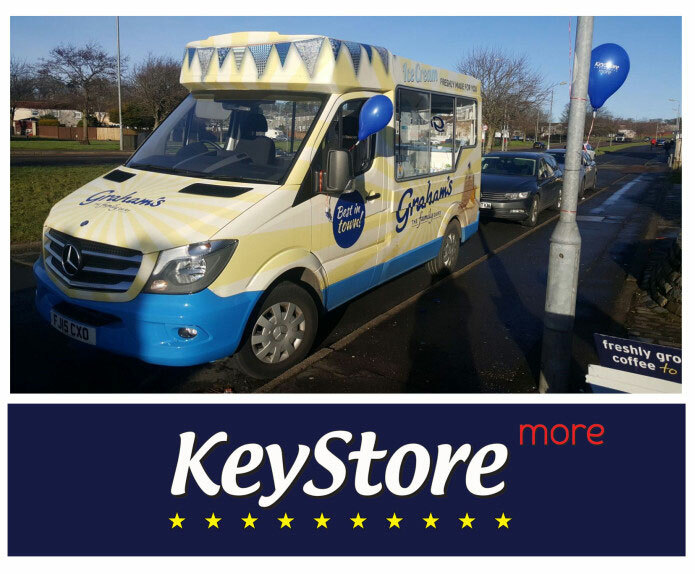 There was FREE Graham’s The Family Dairy ice cream and much much more at their OPEN day, Prizes, giveaways and goodie bags all round. Alex will be employing local staff and will be an asset to the community. On the day, Nicholas Hannah, Director at Filshill presented the local Karen Moir School of Dance & Drama with a £300 cheque, a great local community club.